​It is June 2017 and fire fighter Miguel Roldán has been working for 18 hours on a migrant rescue ship in the Mediterranean Sea. A phone call warns him that another migrant boat is sinking. It is past 22h00 and completely dark. He sets out with two of his colleagues in a small boat to find the drowning migrants. They sail 200 metres, turn off the boat’s engines and follow the screams for help. They find the migrants within 10 minutes but Rome’s Search and Rescue Control Centre deny the team permission to rescue them. They are in Libyan waters and have to negotiate with the North African country. They are granted permission to carry out a rescue operation 15 minutes later. But a quarter of an hour is an eternity for migrants struggling to stay alive. 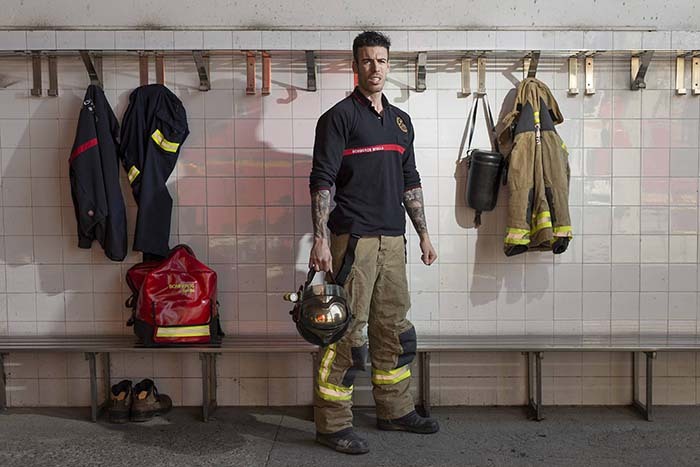 “We could only save half of them, many people drowned,” remembers Roldán, a 32-year-old fire fighter from the southern city of Málaga, who has been part of the underwater unit of the Seville City Hall Fire Department since 2013. His act of solidarity that day, as well as his help on other rescue missions in the summer of 2017, could land him behind bars for 20 years for allegedly aiding illegal immigration and working with human traffickers. Roldán had previous experience on rescue missions in the Aegean Sea, next to the Greek island of Lesbos and decided to spend 20 days of his vacation in June 2017 aboard Iuventa, an old fishing vessel that was converted into a rescue ship by the German NGO Jugend Rettet. The crew departed from La Valeta port in Malta and sailed until they were 17 nautical miles from the coast of Libya in international waters. In those 20 days, the team rescued 5,000 people. When Roldán returned to Seville, the crew continued to carry out rescue missions in the central Mediterranean migration route, one of the most-popular ways to enter Europe, saving around 14 000 people in the following weeks. But the rescue missions were cut short on 2 August 2017, when Italian authorities seized the Iuventa and launched an investigation into the crew for “facilitating illegal immigration.” As a result of the investigation, a judge in the Sicilian city of Trapani, accused the entire crew, seven Germans, two Scots and Roldán, of helping human traffickers. “It’s unbelievable. We respect the rules so much that we’ve watched people die because of bureaucracy. The accusation is a huge slap in the face,” says Roldán. According to the International Organisation for Migration (OIM), 3 116 people died trying to cross the Mediterranean in 2017, with the majority, 2 832 people, drowning on the central Mediterranean route where Roldán was working as a volunteer. “Since the beginning of the operation, we’ve cooperated directly and completely with the Italian authorities,” says Sascha Girke, one of the founders of Jugend Rettet and the leader of the 2017 mission that Roldán took part in. According to Girke, the main objective of Iuventa is to go to areas where migrants are in danger of drowning, they were between 200 or 300 kilometres off the island of Lampedusa and Malta and actively search and rescue them. Once rescued, the migrants are transferred to ships belonging to non-profit organisations such as Doctors Without Borders and Save the Children. Roldán’s situation is not unique. 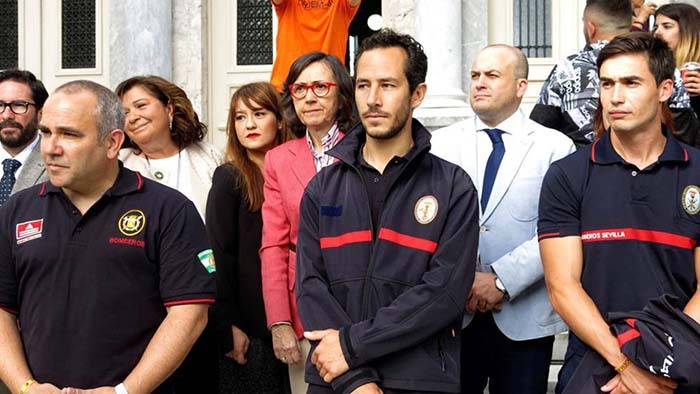 In 2018, three fire fighters from Seville were facing up to 10 years in prison for “attempting to smuggle people” as volunteers for Proem-Aid (Professional Emergency Aid), a Spanish association that aims to save migrants drowning at sea. The three men were acquitted but Roldán may not be so lucky, says Oino Reina, the president of Proem-Aid. “The main difference between the cases is that we were dealing with the Greek justice system but [Roldán] is being accused by Italy, a country that has a policy of harassing and attacking NGOs, especially since Matteo Salvini became the interior minister,” explains Reina.